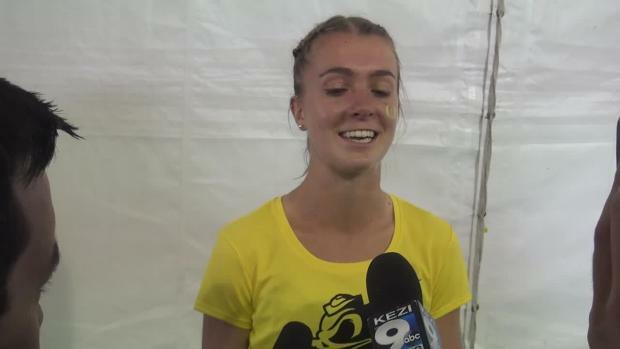 Lisa Rainsberger is a graduate of the University of Michigan and a former Boston and Chicago Marathon winner -- she was the lone American to win Boston in its history until 2018, when Desi Linden crossed the tape first -- who founded the Kokopelli Kids Trail Racing Series in 2009. 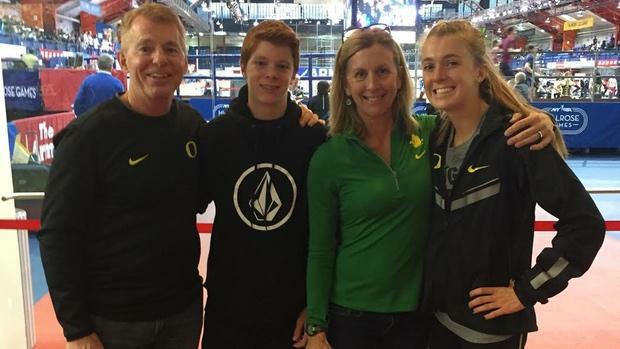 She's the mother of two teenagers, including University of Oregon freshman Katie Rainsberger, an eight-time state champion in track and field and cross country in Colorado, a 2015 NXN winner, and former Gatorade National Girls Cross Country Runner of the Year in 2016. Lisa is sharing her thoughts on raising an elite high school athlete. 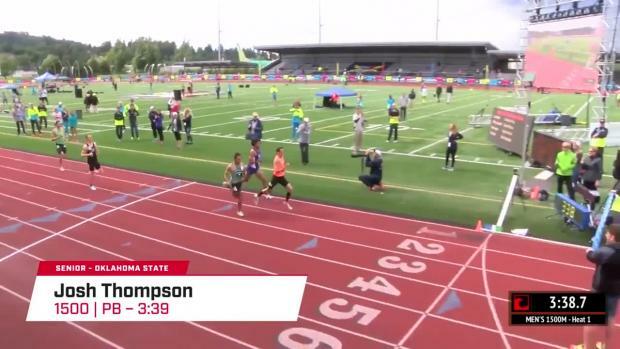 What do you do when you have a son or a daughter who exhibits elite potential and performs outside the norms of traditional expectations in high school track and field? My advice as a parent? Gather facts and ask a lot of questions. Our daughter, Katie, started to show promise as a runner in the seventh grade in our home state of Colorado. My husband and I enjoyed her progress from the bleachers and helped her navigate offseason training. We helped her with time management in three sports, kept the fridge full, and the uniforms washed, but it wasn't until junior high when we started to realize her potential. Being a professional athlete for 18 years and an elite level running coach for that past 15 years, I thought it was imperative to take a long, hard look at our local high school to see if the academic and athletic atmosphere was the right fit. What we found prompted us to look further and to ask more questions. That's one of the biggest things I would encourage parents to do. Ask as many questions as you can. We did our homework. We talked to other parents with kids in the program and talked to counselors and athletic directors and coaches -- and not just at one school. Here are a few questions we asked. 1. Are the girls allowed to run and train with the boys? Statistics told us that Katie would have performance times closer to that of the boys. We asked her what she wanted, and she expressed a desire to be on a team that would challenge her in training. We were amazed then to discover that many programs do not allow the girls and boys to train together. One coach said, "What makes you think your daughter will even make the varsity team?" Knowing our Katie -- and all of her quirks -- we felt strongly about her being be on an inclusive team with progressive tactics, one that could change or vary based on the athlete. Training as one team proved to be beneficial and enjoyable for our daughter and her teammates. And as an added perk, the boys' team seemed to benefit from increased efforts to avoid getting "chicked." 2. Does the program support and encourage multi-sport athletes? While our daughter wanted to run in cross country and track and field, she also wanted a normal high school experience. She wanted to continue to play soccer, too. We felt soccer would not only make her faster but also more agile. When she entered high school, we felt she shouldn't have to make a decision like that too soon. Some schools told us a resounding "no" and some were open. That's ultimately what you have to find out. Our mission was to identify a school that would not only support multi-sport athlete, but would also have quality coaches and high academic standards. 3. 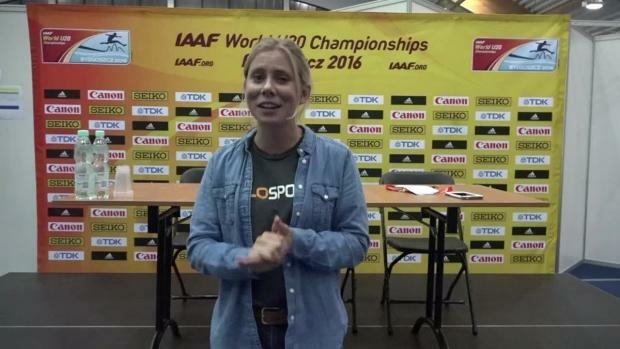 Are athletes allowed to have a voice with their training and where and what events they race? We wanted to avoid over-racing and over-training, and we wanted to keep our daughter's training on an age-appropriate and ability-based trajectory. We wanted to avoid the program that would be tempted to over-race or possibly overlook long-term development for short-term gains. We looked at the statistics posted on MileSplit to see how often some programs raced their runners. 4. Does the program support outside elite-level competition? Living in Colorado at 6,500 feet of elevation, we wanted to know if the program would approve travel for sea-level invitational events. 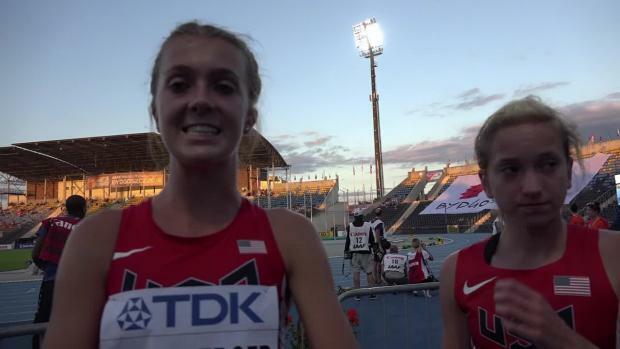 Nike, New Balance, Adidas, Brooks, they all had elite-level invitationals, and our daughter wanted to eventually earn a spot to compete at these invites. Not all programs support the "outlier" racing outside of school-supported events. So it's important to find the right kind of school that will promote -- and not discourage -- your child from development. We did not want to limit our daughter's bigger dreams. 5. Do the coaches and teachers communicate well with the athletes and the parents? This is a hard question, obviously, because it can easily be misinterpreted. In some cases, parents can make coaches jobs hard and downright impossible. Sometimes schools choose to communicate with their student-athletes rather than the parents. And I understand all situations are different. But it's important to focus on what your child's goals are and what you value as a high school experience. With so many variables with an "outlier" athlete, we searched for a program in which the coaching staff and teaching staff would work with Katie when creating her training, racing, and academic journey. Having an "outlier" on a team requires thinking outside the traditional process and maintaining an environment that's open to communication. The coach with the "my way or else" attitude was not an option for her or us. 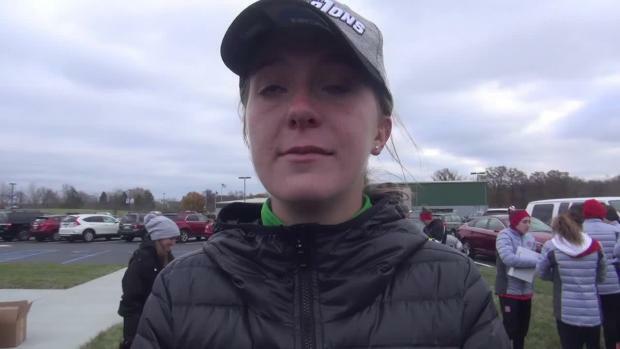 Thankfully, "All I had to do was unlock the locker room, and she does the rest" was a quote from Katie's high school coach after she won the Gatorade National Girls Cross Country Athlete of the Year in 2016. And yet, once the homework was completed and her high school was selected, the work was not over. The next four years were filled with accomplishments, awards and records. While our daughter experienced support and flexibility from her high school coaches, teachers, and teammates, there was also a mixture of outside opposition from other high school coaches and parents and chatter on social media sites from those who did not understand or respect the decisions we made. It took a while, but Katie taught us how to tune out the chatter and how to focus on the things we could control. 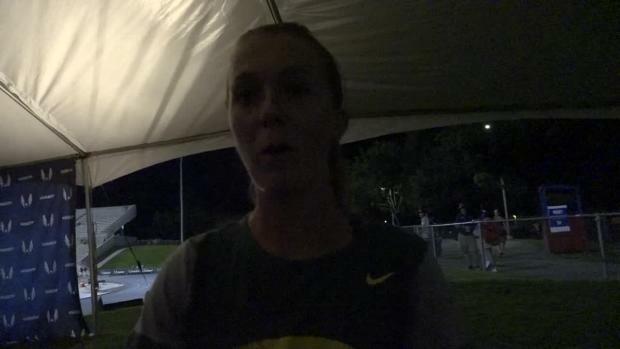 This year, she started her freshman year at the University of Oregon and has continued the successful trajectory she built in high school. From the beginning, that was what it was all about: focusing on the long-term plan instead of the short term. The only difference this time is that she did all the vetting when it came time to choose where she would attend college. Occasionally, she sends us a a tip and a note: Stay off social media and thanks for everything you've done, Mom and Dad.